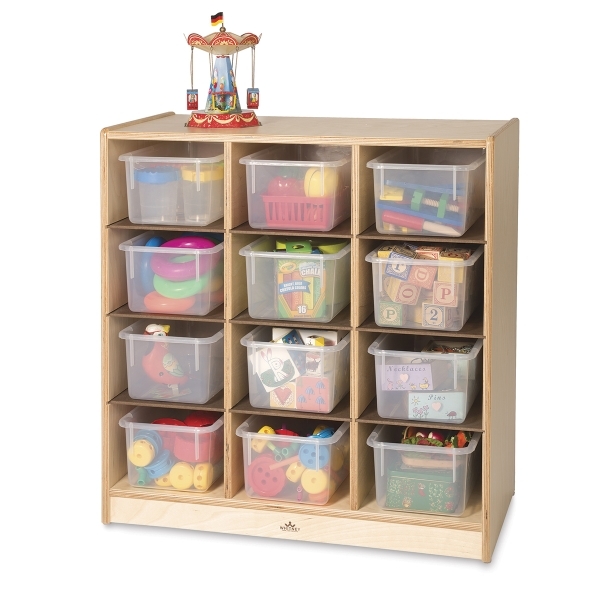 The Whitney Brothers 12-Cubby Storage Cabinet is ideal for a small studios and classrooms or anywhere compact storage is needed. Constructed of beautiful, durable birch laminate with a safe, non-toxic, UV-resistant finish, its 12 cubbies provide plenty of handy storage for supplies (plastic bins not included). Made in the USA, the cabinet is GreenGuard Gold Certified and backed by a lifetime manufacturer's warranty. It measures 30"H × 29"W × 14"D.